The Pantanal is a vast area of wetlands in central Brazil that is one of the best areas in South America for wildlife viewing. Covering some 230,000 km², it is one of the world's largest freshwater wetland ecosystems. The diversity of animal species in the Pantanal is staggering - over 650 bird species, 400 fish, 50 reptile and 80 mammalian, with the landscape ensuring they are much easier to see than in other parts of the continent. Animals include jacare, giant anteater, ocelot, jaguar, cougar, giant river otter, capybara and pamba and march deer while some of the bird species of note are the hyacinth macaw (the world's largest parrot), jabiru storks and roseate spoonbill. The wetlands can be explored on foot, horseback, boat rides or on vehicles depending on the terrain and time of year. 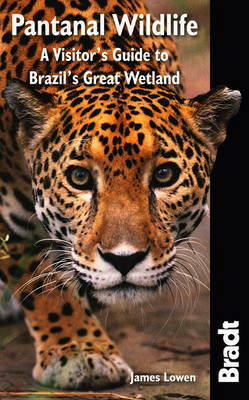 Organised group tours: Click here to see 9 tours to Brazil which may include Pantanal.